When it’s this cold outside all I want all day are warm meals, staring with oatmeal in the am to a cup of soup for lunch and some comfort food for dinner. 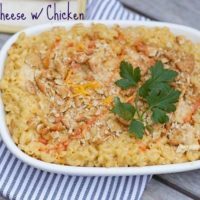 Homemade Mac and cheese is such a great comfort food casserole and by adding some baked chicken at the end you have a complete meal. (Ok add a veggie side dish as well). 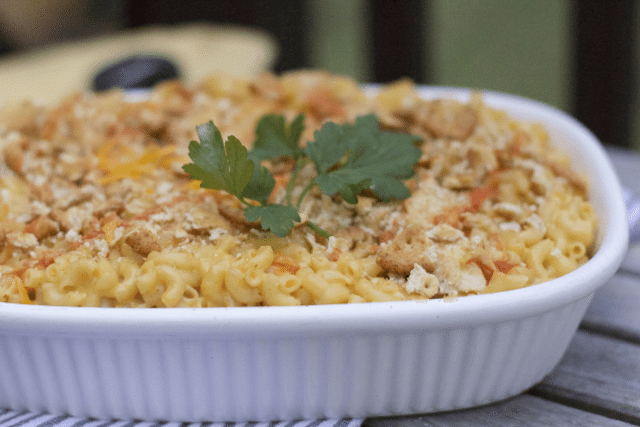 You don’t have to bake this mac and cheese recipe either, I just added it to the oven for a while as I added a Ritz cracker topping. Yummy. There is no need to feel intimated making mac and cheese, while it may take a little time it is so much better than the boxed variety. Don’t get me wrong I always have a box or two in the house so the kids can make a quick snack or dinner but when it’s family dinner homemade mac and cheese is the only way to go. This might looked burnt but this roué has spices in it. This is the hardest part of homemade mac and cheese, you just have to commit to standing around a little. We used low fat milk so it took a little longer to thicken but saving the calories is always nice. 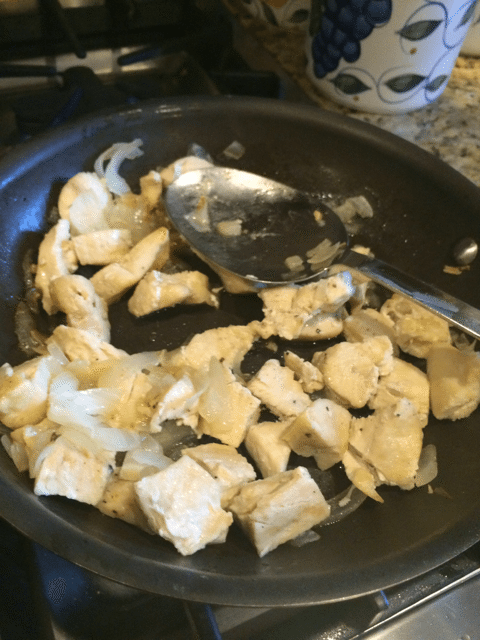 Cook your chicken and onions at the same time and they will be nice a flavored vs just putting in baked chicken from the oven. Sorry for the bad photos on this. Adding the cheese is the fun part. I like to use block cheese that I shred before but do what ever is easiest for you. I topped this comfort food with butter and ritz cracker topping and drizzled a little hot sauce for an extra kick before serving. Heat a medium pan over medium to medium-high heat. Add oil,, and chicken and season with salt and pepper. Sauté a couple of minutes, then add onion and cook another 5-7 minutes until onions are tender and chicken is cooked through. Turn off heat and reserve. To boiling pasta water, add pasta and salt to season the cooking water. Cook until al dente. Drain macaroni or pasta Add back to pot and add chicken to the pasta. 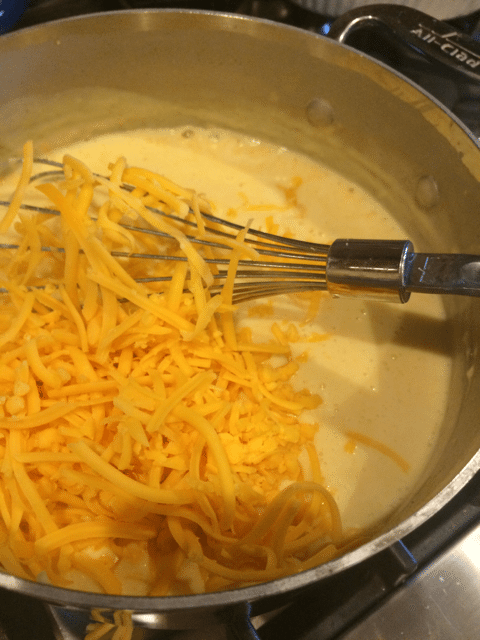 Add cheese to milk sauce and stir to melt it in, about a minute or so. Stir in mustard and season sauce with salt and pepper. 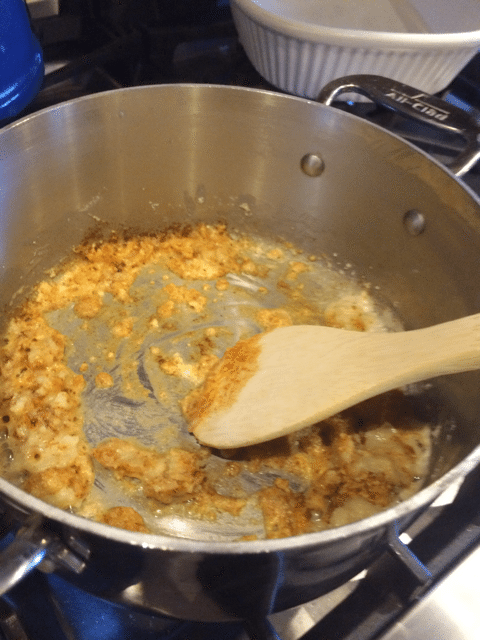 Pour sauce over chicken and cooked pasta and stir to combine. Adjust seasonings, transfer to a large casserole dish and place in oven to keep warm or to brown topping if using. 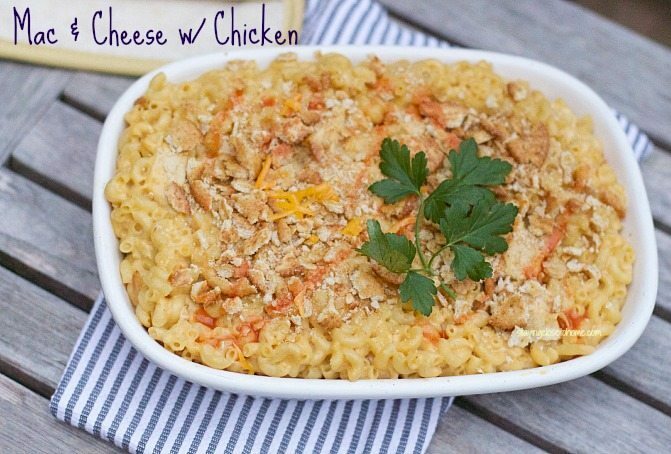 Mix together and place onto mac and cheese casserole. What is your favorite winter time casserole. Be sure to check out this great selection from FOODIE. This looks so good. My son would have it gone in minutes. My favorite winter time casseroles from the selection on FOODIE are the Chicken Parmesan Casserole and the Baked Eggplant Parmigiana Recipe. Of course all of the casserole dishes on the f\Foodie page look delicious and I’d love to try them all. Thank you for sharing this recipe post. 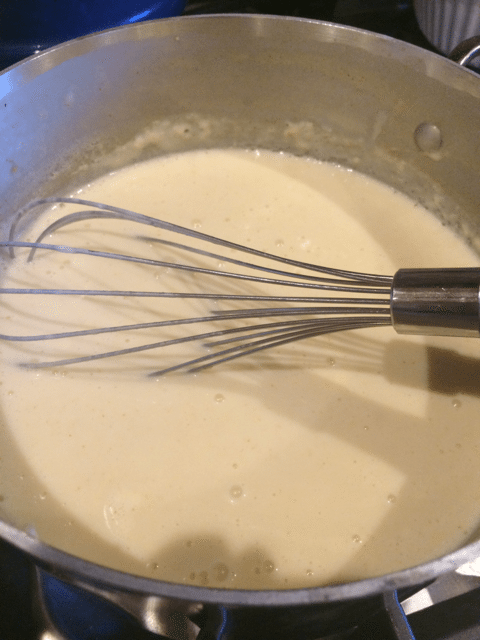 How much butter do you use to make the roux? I do not see how much butter to use in this recipe. I want to make this awesome delicious recipe. It looks so delicious! Thanks for sharing.